If you want a more formal event choose our white glove service marked with special care and attention. Enjoy a sit-down meal where our wait staff wearing white gloves will carry each course on a tray and serve your guests directly from it. Each table is served and cleared at the same time. Luxury at its best! To say it was the most professional catering staff would be an understatement! Our guests raved about Eatible Delights. I have referred EDC already and will definitely be calling on you again. Call for the FINEST White Glove luncheons in Philadelphia! As a full service caterer, you can let us handle all of the details to make your event a success. We provide full service and our staff is top notch. We only hire the best in the business and believe clean and presentable are two attributes that are imperative. The service staff will leave a lasting impression with the client and their guests. We assure you that it will be a good impression. – as a 100% full service caterer, we can help you from beginning to end from set-up to breakdown and provide the services you need or referrals to those that can help you. – is usually required for an event and you don’t have to go elsewhere. 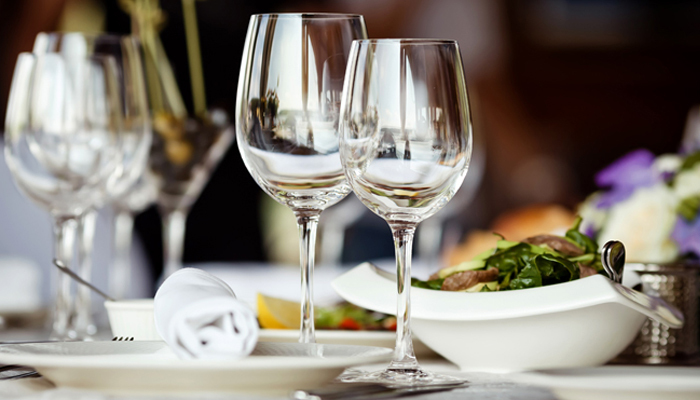 There’s no need to coordinate anything with a rental company or worry about the number of wine glasses to order for your event. We take care of those details and make it stress free for you. We have numerous styles, patterns and types available. We’ll work with you to find the right one for your occasion. – we can help you with tables, chairs, and lounge furniture, linens of just about any style or color. If you’ve seen it in a magazine, we can get it for you. Your menu has been made, wait staff is set, invitations are out, entertainment is booked, and now you just have to sort out the bar. Whether it’s an open bar arrangement with premium top-shelf liquor, beer and wine, or soft drinks and juice, Eatible Delights Catering has you covered. If desired, our bartending staff will arrive with all of the predetermined liquor, beer, wine and juices and be ready to provide a quality service at your event, or you can simply purchase the necessary bar items and our bar staff is available to you at your function. Eatible Delights Catering's classic cuisine serves familiar favorites with a modern flare. We focus on providing flawless events with impeccable service and every detail is seamlessly embraced. The delicious high quality food is prepared with the freshest ingredients; the linens are crisp and the settings are meticulous. It is our mission to provide diverse menu options, create food that is sophisticated, approachable and infused with exquisite flavor, and has a dazzling presentation. Eatible Delights Catering serving Bucks County , Chester County, Delaware County, Montgomery County, and Philadelphia County along with Delaware, Washington DC, Maryland, New Jersey and New York.